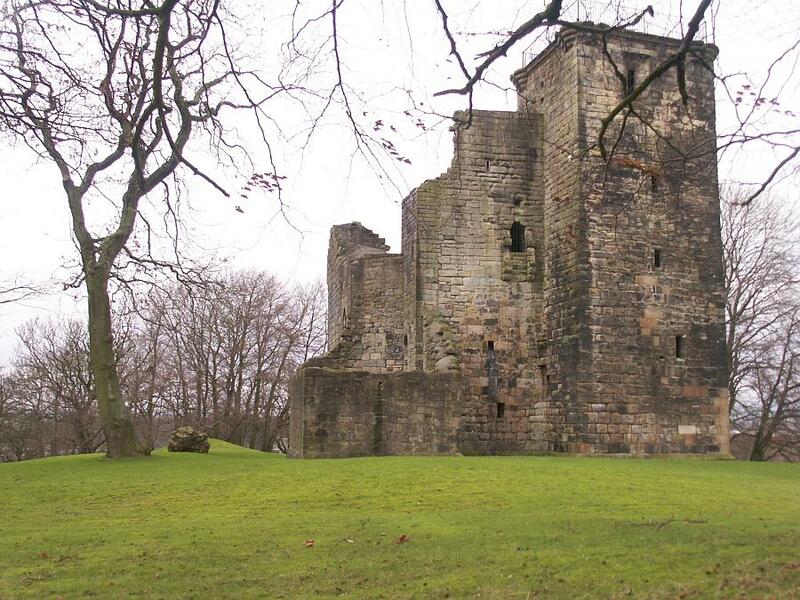 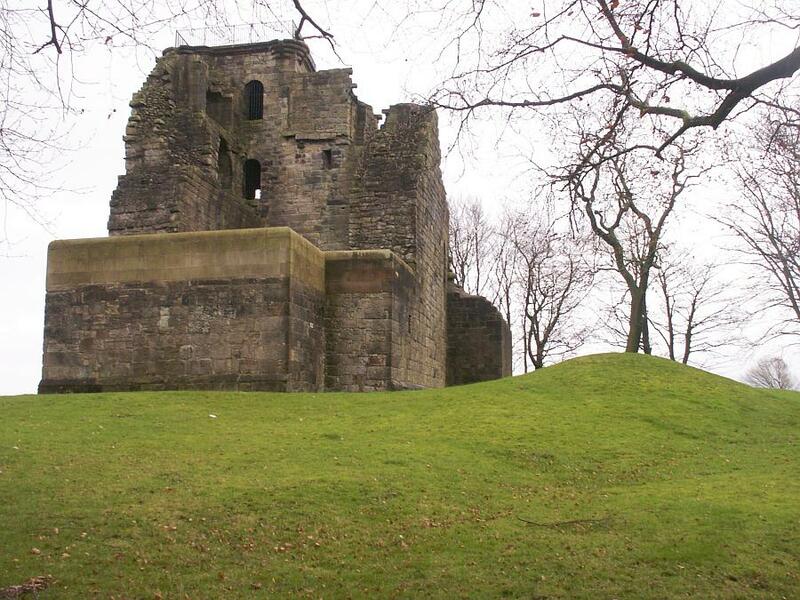 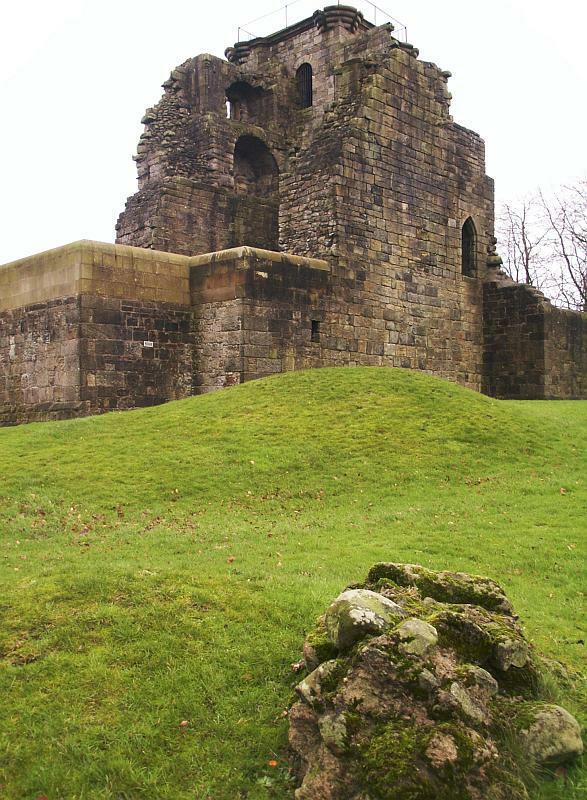 Crookston Castle, on the south side of Glasgow, is an early 15th century construction. 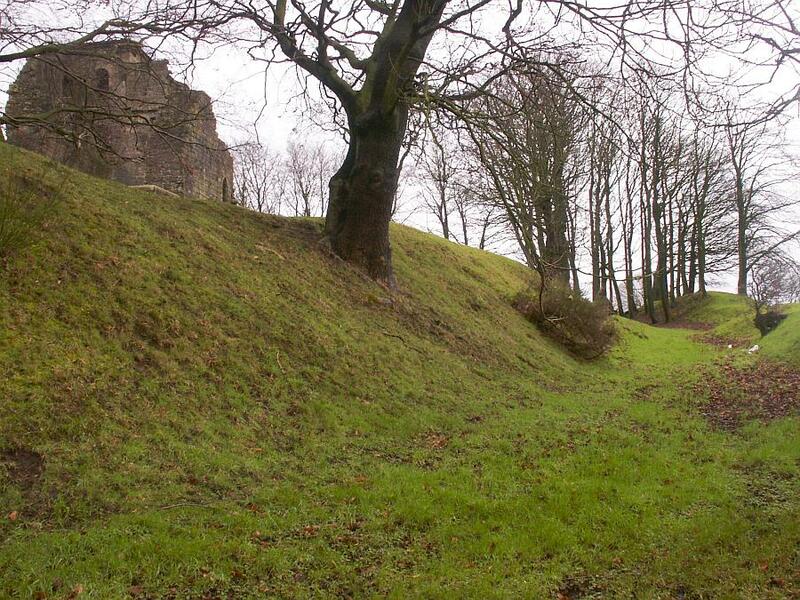 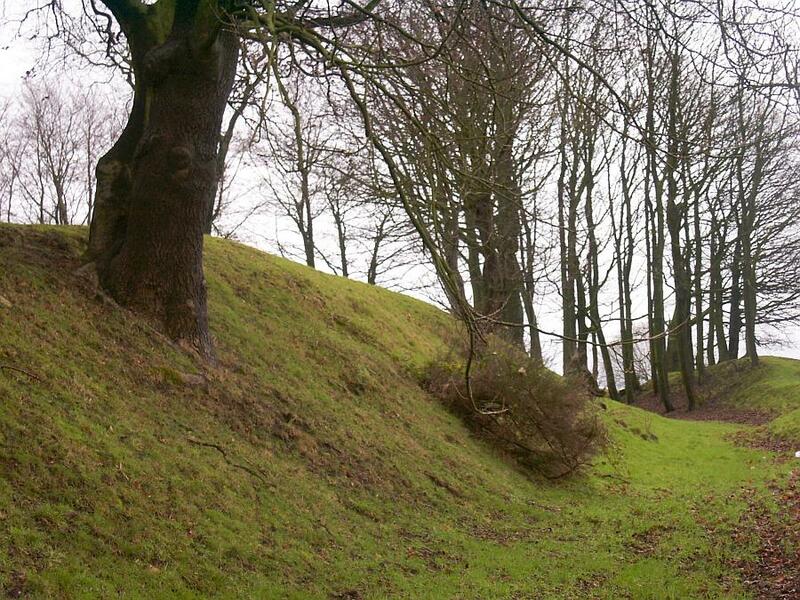 It is surrounded by a defensive ring ditch that dates base to the 12th century when Sir Robert Croc built an earlier castle and chapel, now lost. 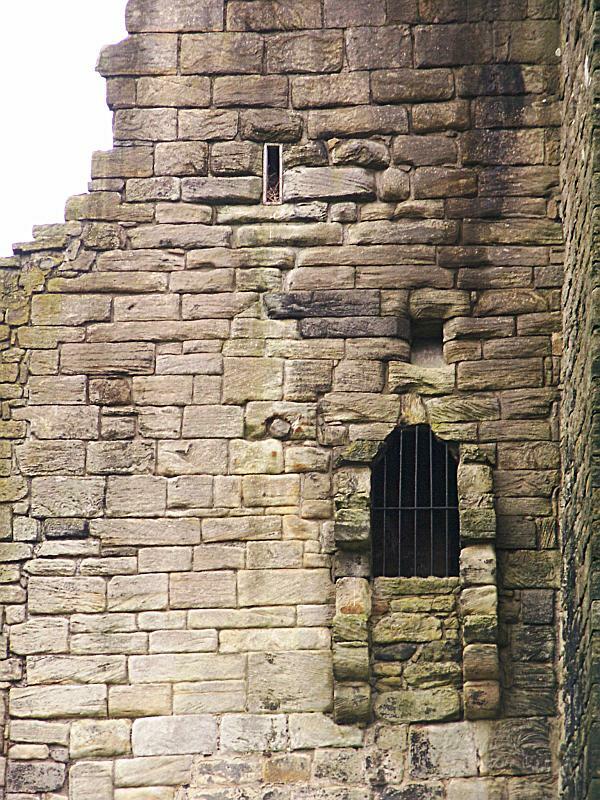 He gave his name to the village of Crookston. 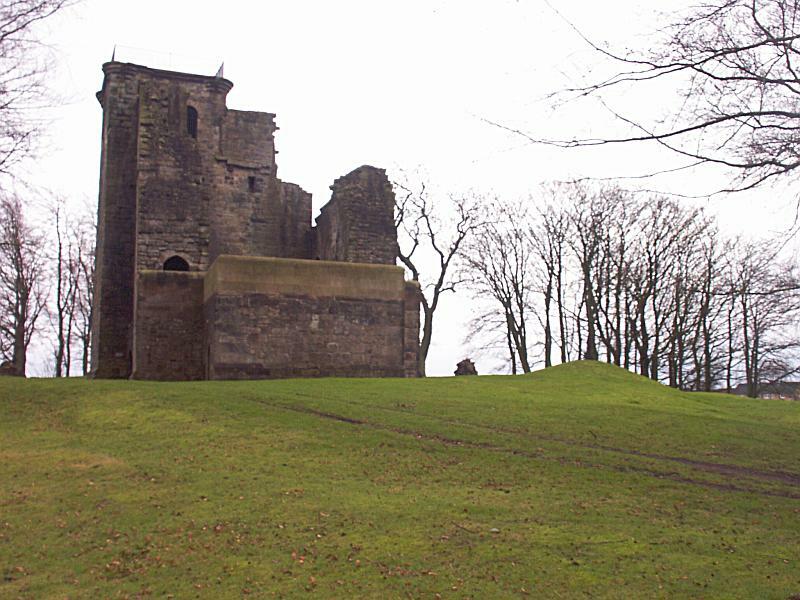 The estate containing Croc's castle was bought by the Darnley Stewarts in the 14th Century and they built the later castle here. 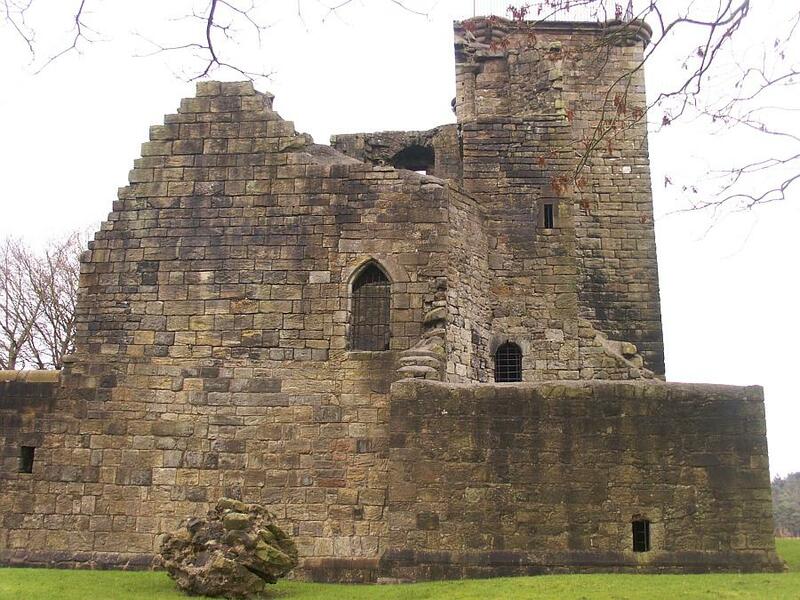 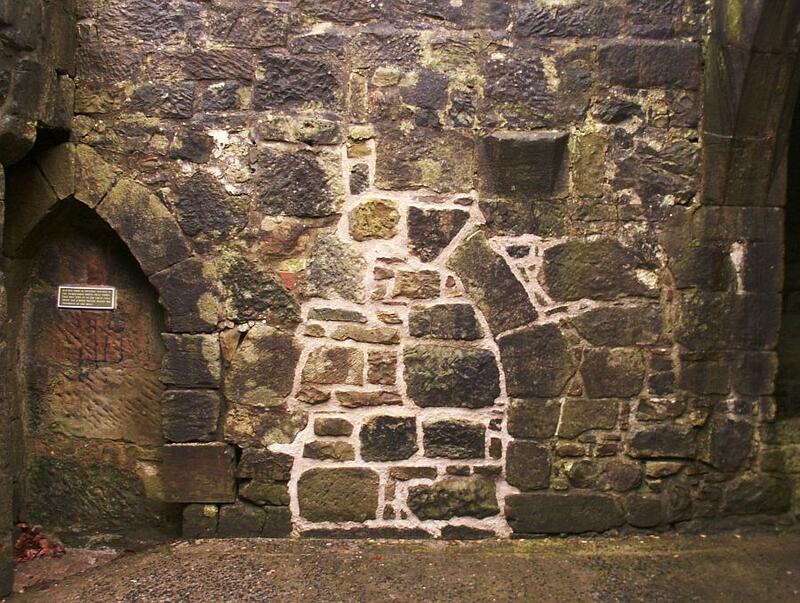 A later Lord Darnley became the husband of Mary Queen of Scots and, according to Gordon Mason in The Castles of Glasgow and the Clyde, it was under a yew tree at Crookston Castle where they were betrothed. 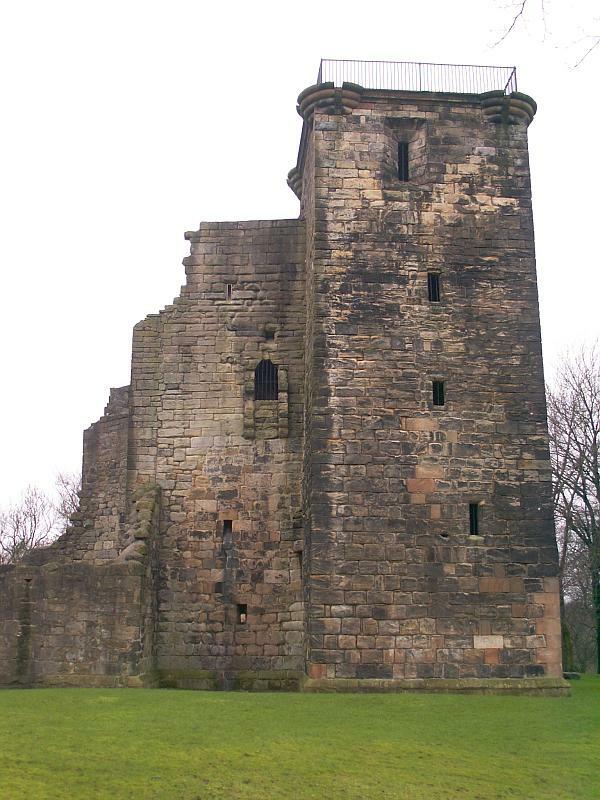 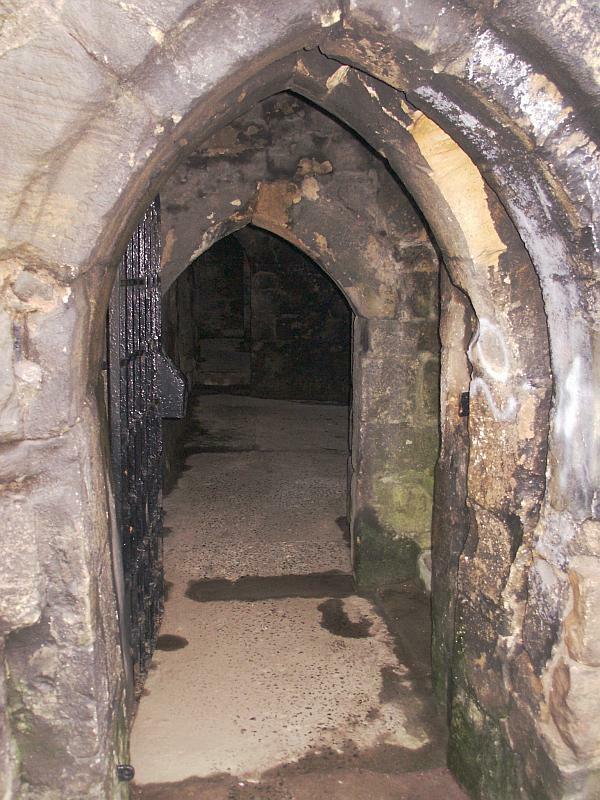 The castle came under seige in the 16th century and last later abandoned. 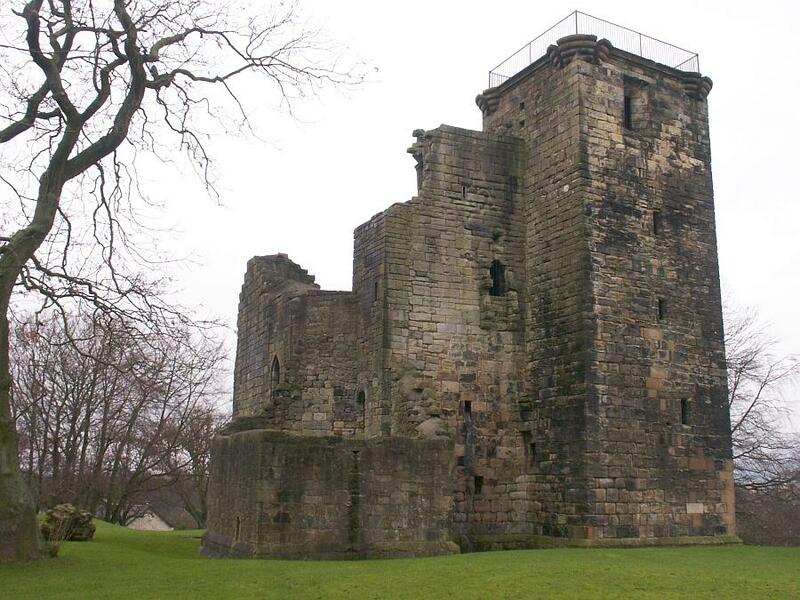 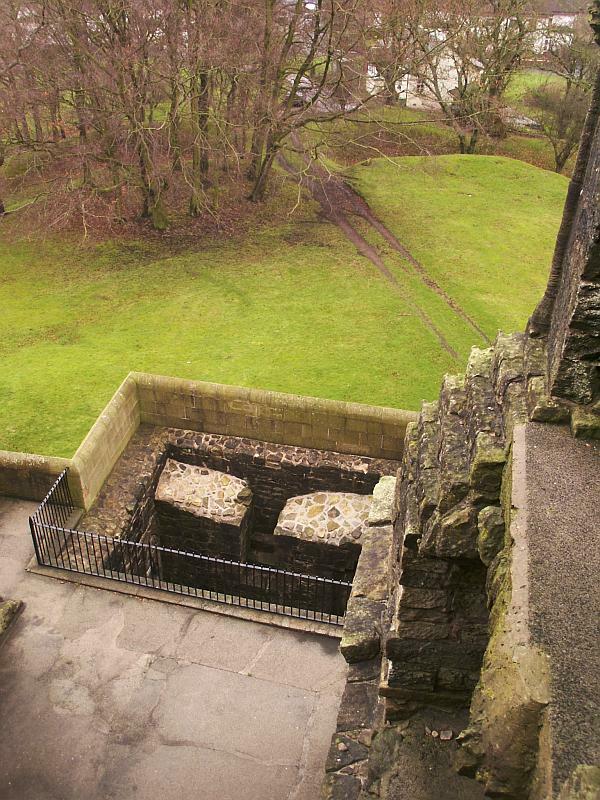 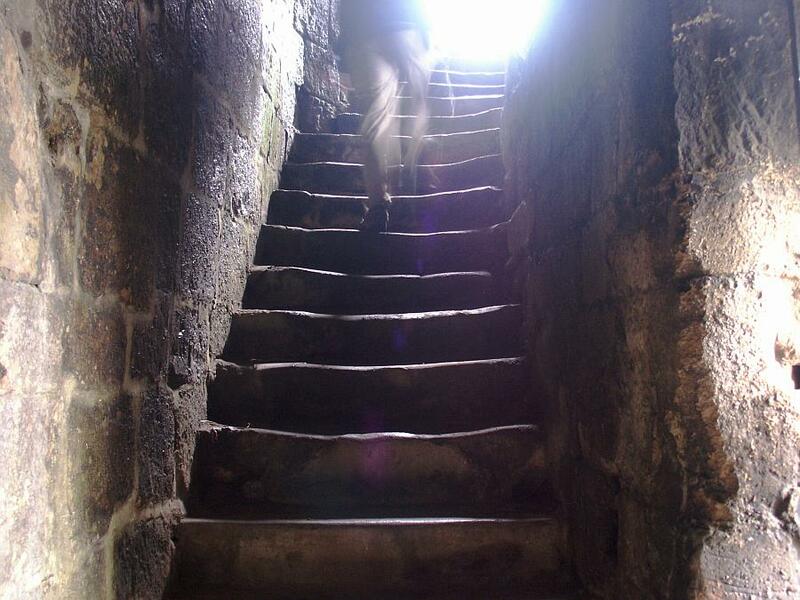 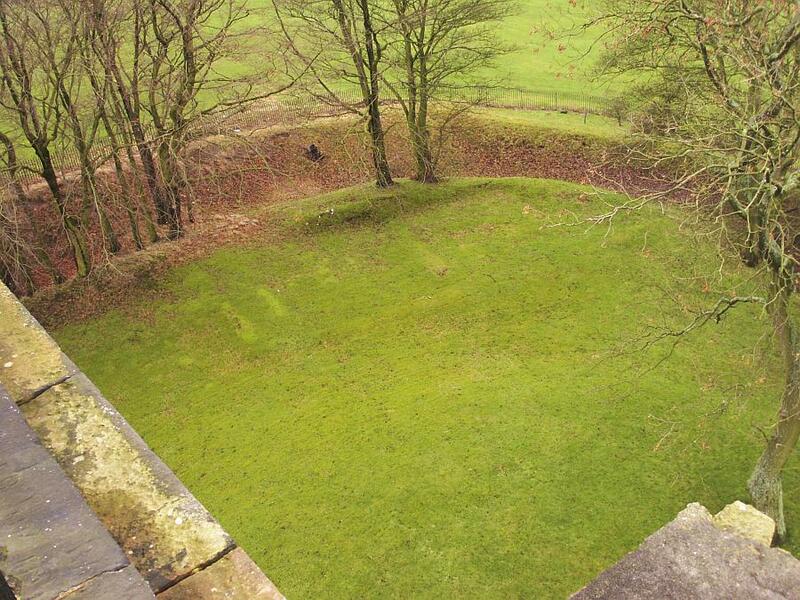 The main body of the castle measures about 18m by 12m (60 feet by 40 feet) and it had a large tower at each corner. 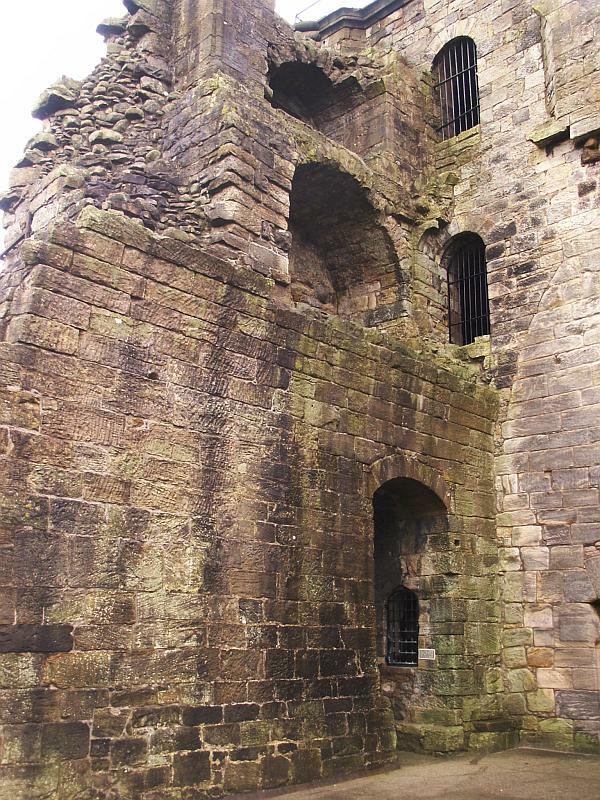 The northeast tower is still largely intact, the southeast tower stands to about 1 storey, and there is very little sign of the two western towers. 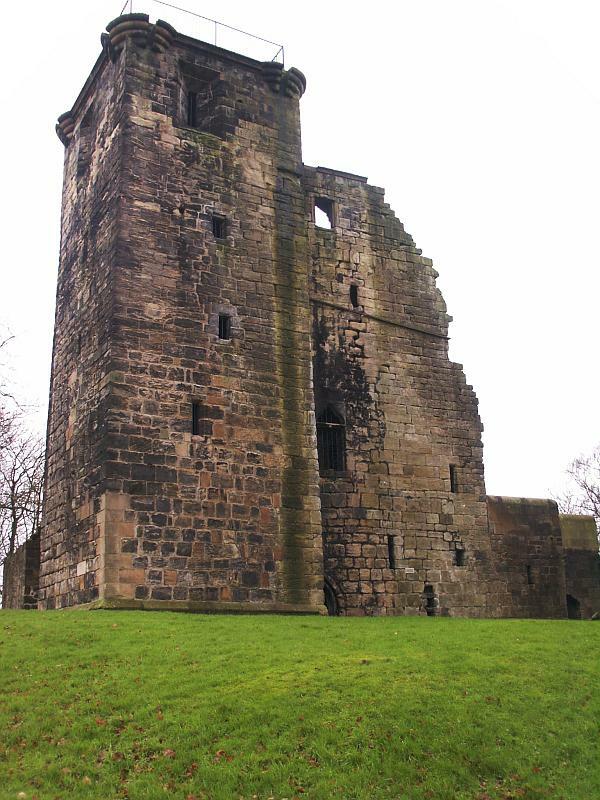 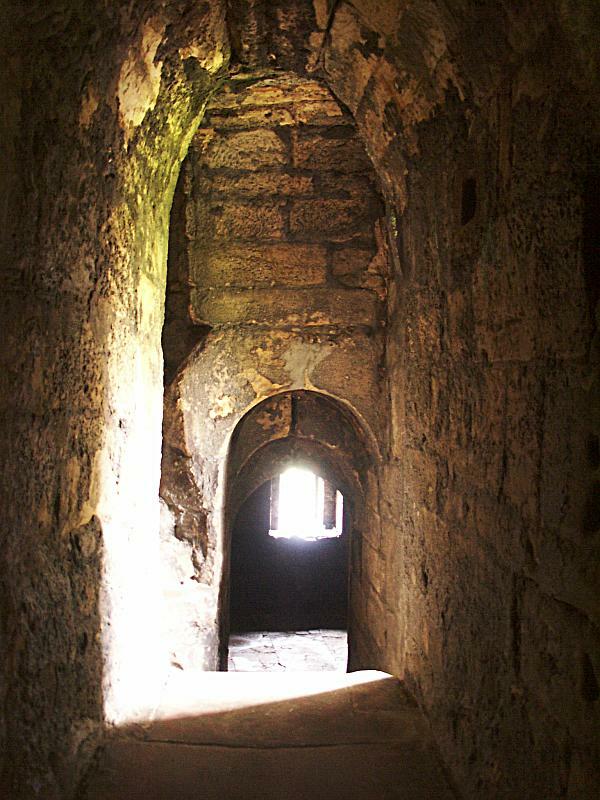 The towers had one room on each floor, and there is still access all the way to the roof of the northeast tower giving an impressive view of the southside of Glasgow. 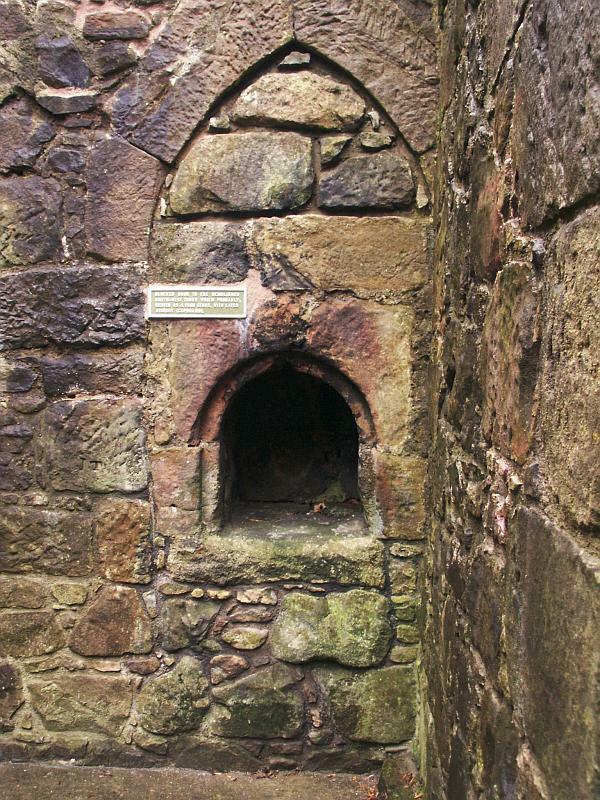 Cup and Ring Marks; Millstone Quarry; Dovecot.